-Norbyte of the Larian forums: taught me how to overwrite existing models. -Divinelyght of the Nexus forums: for putting ideas in my head. 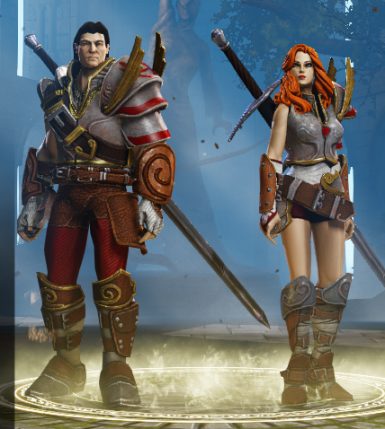 -Larian Studios: For creating the game and the replacement models I used. NOTICE: IF YOU USED AN OLDER VERSION OF THIS MOD MAKE SURE TO DELETE ITS .PAK FILES FIRST OR THIS NEW VERSION WON'T WORK. This mod makes the sarong skirts invisible, for those that would rather not display them. - Includes both genders and includes a separate file for each. - Compatible with existing saves. - 1.1: New unpacked version that (at least seems to) work with Divinity version 1.0.72 and newer. DELETE THE .PAK FILES OF ANY OLDER VERISON OF THIS MOD YOU USED! Repeat for any additional parts you wish to install. WARNING: Do not place the files in /Documents/Larian Studios/mods as it won't work there. You'll have to open Divinity's /data/public/assests folder, find the files this mod uses and delete them. I wish there was a cleaner method, sorry. You can safely delete the /assests folder for a full wipe of this mod, although that may also erase other texture and model mods you've installed. - I have not tested how it works with multiplayer, but others have stated it works. -Zeddy1234 of the Larian forums: For pointing me out to the new 1.0.72+ method of making thismod work.